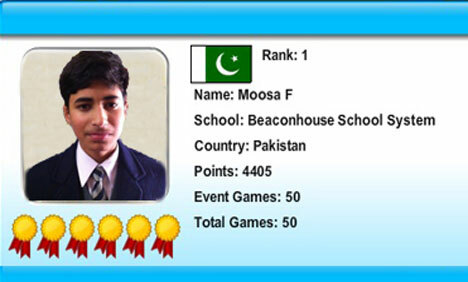 KARACHI: A fifteen year old Pakistani student Mousa Feroz, on Sunday won a gold medal in an Online World Mathematics Competition held in Australia, Geo News reported. Over one point five million children from one hundred counties around the world took part in the competition took place on the sixth and seventh of March. All content found on this site have been collected from various sources across the web and are believed to be in the public domain. If you are the rightful owner of any content posted here, and object to them being displayed, please contact us and it will be removed promptly. We do not claim any copyright or other rights. You may download them for your personal non-commercial use only. Amazing & Interesting 2010-2011. Simple theme. Powered by Blogger.